When considering stimulant treatment for ADHD, one concern that is often voiced by parents is about height loss associated with long-term use. Answering this question has been difficult, in part because the available literature has been inconsistent. Some long term studies have shown no differences while other show reductions in over an inch. To help provide some more definitive data, a study was recently published that reports on the long term follow-up into adulthood of subjects who took part in the well-known Multimodal Treatment Study of Children with ADHD or MTA. As a reminder, this government funded trials was one of the most comprehensive treatment studies ever done. Back in 1994, over 500 children with ADHD were randomized to receive short term treatment with stimulants, behavioral therapy, combined treatment or treatment as usual in the community. After 14 months, however, patients and families were free to choose the best treatment for them and the study was naturalistic in design from that point forward. During the follow-up period, investigators performed multiple assessments at regular intervals until subjects were on average about 25 years of age. Based on their recorded patterns of medication use, subjects were divided up into groups of those who consistently took medications into adulthood, those who inconsistently took medications, and those who took negligible amount of medications. A community sample was also recruited for comparison. In terms of results, one somewhat surprising finding was that only a minority of subjects (14.3%) took medications regularly across the study period. While there was evidence that symptoms of ADHD persisted into adulthood compared to the comparison group, no significant differences in severity were found among ADHD patients between the three groups with regard to overall medication usage (consistent, inconsistent, and negligible). Differences were found, however, with regard to height. Specifically, the consistent and inconsistent groups were approximately 2.55 cm or about 1 inch shorter than the negligible group. The authors concluded that symptom benefits of medication may dissipate over time but that the impact on growth may persist into adulthood. While some would love to interpret the lack of significant differences in ADHD symptoms between the three medications groups as evidence that stimulants don’t work over the long term, it is crucial to point out, perhaps over and over again, that the naturalistic design of the follow-up period drastically impairs the ability to make that conclusion. Yes if stimulants were a miracle cure for everyone then we would see differences, but in the real world case of a condition that varies in severity and treatment responsivity, what tends to happen of course is that more refractory cases continue taking medications while less severe cases often stop their medication successfully. Then there is what to make of the fairly robust height differences which are larger than what most other studies have reported. Do we just add it to the heap of studies showing different things and tell patients that we still don’t know the definitive answer, or do we give this study a little more weight? In my view, it’s the latter. The MTA study is arguably the most rigorous study ever done on ADHD treatment and, while no study is perfect, needs to be considered carefully. The 1 inch differences will now be part of my standard spiel in doing informed consent with stimulant medications. 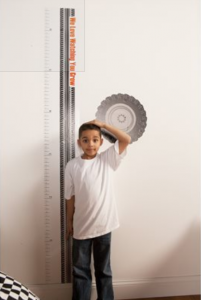 hyperactivity disorder: symptom persistence, source discrepancy, and height suppression. J Child Psychiatry Psychology 2017; epub ahead of print. This entry was posted on Wednesday, April 5th, 2017 at 11:26 am and is filed under ADHD, Medications. You can follow any responses to this entry through the RSS 2.0 feed. Both comments and pings are currently closed.